Before we start off this collection that I pretty sure any pink die-hard fan will be crazy of, I must say that this is the hardest collection to round up because there are so, so many beautiful pink wallets. Oh my God! To be honest, it took a lot of time from me to pick up the best of the best pink wallets out there on the market. So, if you want to add some interesting piece to your pink item collection, let’s get straight into it now. I am going to start off this collection softly with this cute pink long clutch pink purse from Jastore that features three adorable cats. Love them so much and I think those who are obsessed cat disorders should not miss out this item. Or, if you are confused of what to gift your crazy cat friends, look no further than this. I personally love everything about this wallet, from its super lovely outer performance to the functional interior. With this item, you can feel ease in mind that all of your daily carry will stay safe, neat and well-organized. 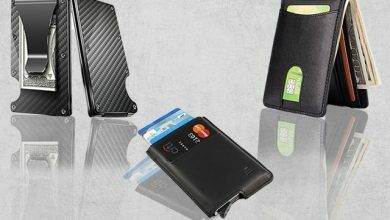 There are up to 11 card slots, 2 bill compartments, 2 spacious open pockets for coins and cell phone and lastly, 1 ID window. See? There are spaces for everything. 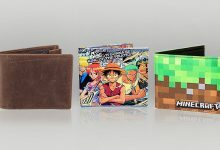 Even, you can use it as a travel wallet as well. In terms of material, it is made out of 100 percent high-quality Pu leather that you will be amazing by its superb softness and comfort to touch. Besides, it’s very well-made and durable to serve you for years. 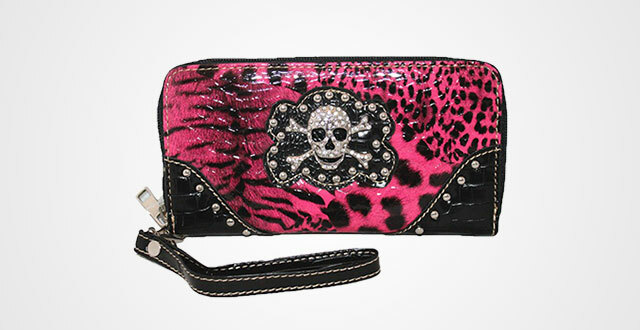 Next up, a hot pink wallet from S-Zone. Does anyone like to rock with hot-pink like me? Show me your hands! 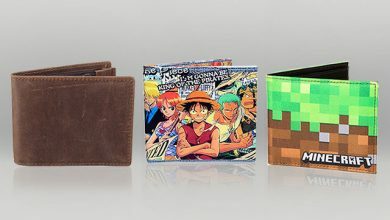 I swear to God that this wallet looks really beautiful and eye-catching than what’s shown on images, which will surely make you stand out from the crowd in any evening party. Feminine but not the way too girly! Instead, it is made entirely from top-grain genuine leather in addition to wax finished to create a luxe and rise up a lady vibe. Besides, just feel ease in mind to bring your precious belongings along inside this wallet with no fears of scheming or hacking personal information as it has built-in RFID Blocking Technology, that can block any 13.56 MHz Frequency Signals. Despite of its compact design that considers measuring 7.5″L x 4″W x 1″H, this clutch can fit up a lot of stuff from cards, coins, bills, receipts and even your smart phone yet still manages a slim silhouette to hold firmly in your hands or stay neatly in any handbag. 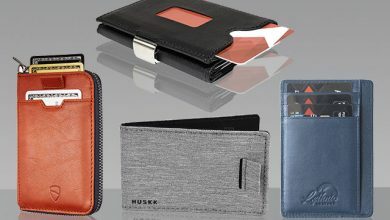 There are 12 card slots, 3 bill compartments, 1 ID Window and 1 zippered pocket. 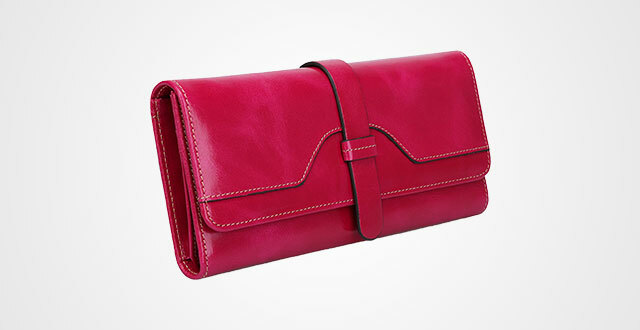 It’s multifunctional enough that you can use as a daily wallet, travel purse or party clutch. Last but not least, 100% money back if you are not satisfied with the products. So, just freely to try it, ladies! 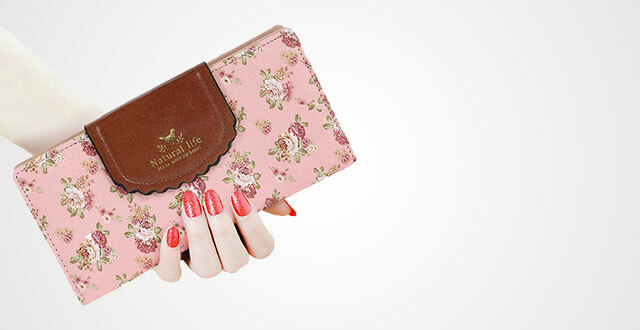 Charming girl mode on with this beautiful floral SeptCity Bifold light pink wallet. This will be a perfect choice for any girl or woman who’d love showing up some girly, feminine and elegant look to the publicity or just that’s your solid style. It is made out of elite PU leather that’s famous for a durable, soft and longevity material, just like genuine leather. However, it comes in more affordable price. Besides, the wallet is well-made by the finest artisans so, just ease in mind that it will serve you for years. In terms of capacity, this piece can hold a lot of cards, cash and other stuff like that, managed in a slim silhouette that is measured roughly by 7.5 x 1 x 3.7 inches. Compact enough to handheld or stay neatly in your handbag. 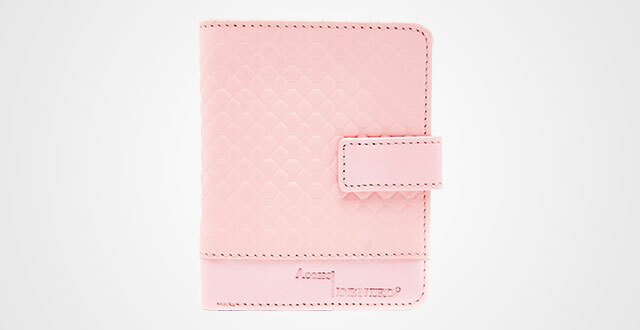 For those who want to go small, this baby pink wallet is perfect to try. Considering it measures 4.2 x 0.8 x 3.6 inches, slim and compact enough to stay in your bling bag or crossbody purse without bulk. Meanwhile, it can fit up your daily carry easily and neatly. The construction consists of 8 cards (including 1 ID window) and 1 full-length bill compartment. I personally like the button strap to keep the wallet itself always shut when not in use. To be honest, I don’t like to see it always open in my bag as chances my belongings will fall out accidentally or not get the ultimate protection. If you are like me, then you will love this design. It’s pretty closure! Other than that, there is an additional zippered pocket on the outsides where you can fit up your regular cards, coins or loose change for quick access. I also like its simple and minimal outlook, as well because it looks very elegant and luxurious, not the way too girly. Actually, JSLove also offers another pink wallet with some more details on the frontside but unluckily, it’s not my taste. However, if you are on the opposite, find that these are the best pink wallets for you, just try it. Its high-quality and functionality is worth the pennies. Rock your party in the coolest way with this badass wallet from Texas West. It features a Rhinestone metal skull design on the frontside mixing perfectly with the shiny leopard print, creating a character, grunge and classy look. Its backside is even more breath-taking beauty with nicely embossed crocodile skin feat contrast stitching. 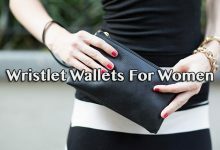 You can use it as a handheld wallet or a wristlet as it is attached with a beautiful wrist strap. 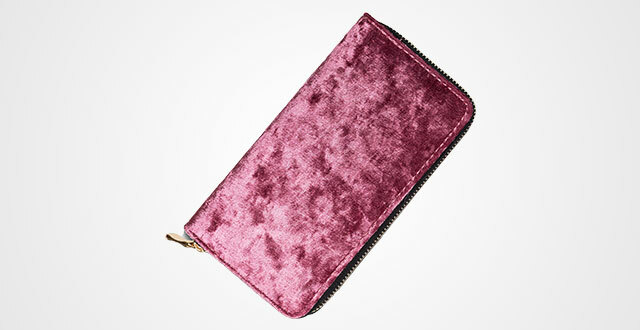 There is a zipper wraparound the wallet, the interior of which is very spacious to accommodate your essentials such as cards, cash, receipts, bills and even make-up without bulk. There are 6 card slots, 1 full-length zippered pocket, and 3 opened spacious compartments. On the other hands, measured by 7.5″ x 4” x 1″, it can fit up your cell phone as well. If pink velvet is your taste, I’m quite sure that you will fall in love with this awesome design from SPUNKYsoul. It’s so, so soft and smooth combining with the beautiful dusty rose-pink color and simple outlook to deliver a feminine, lady and luxurious look. Other than its superb beauty outer performance, it also comes in concise design that is measured by W7.5 inches X H4.75 inches X D1 inch to enable to fit up any cell phones 5.5 inches and smaller. It’s full of life on the insides with 12 card slots, 3 large compartments and 1 zippered pocket. But here is where the real fun begins, when being fulfilled, the wallet will get fatter (of course) however, its maximum silhouette is roughly 1.5 inches, which I personally think that’s a moderate thickness to handheld or stay in your handbags. 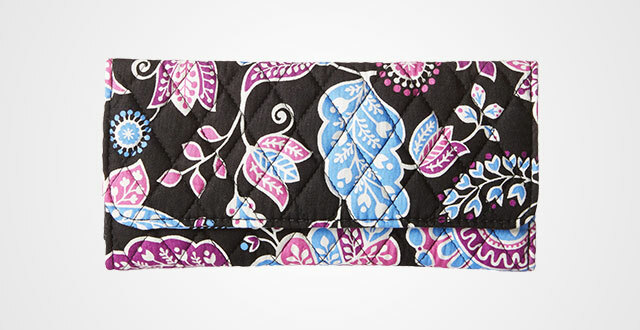 And my last words, for a perfect party wallet, you can’t go wrong with this SPUNKYsoul! If yes, then don’t hesitate to show some love to them through this lovely bifold wallet from PREMIUMAX. It features a nicely printed puppy in the front whereas a full-plain backside. Measured by 3.4”(L)*4.2”(W)*0.6”(H) and compared to other short bifold, this one is a little pricier but I tell you, it’s worth for the price as the whole wallet is made out of 100 percent luxurious genuine leather with striking softness and comfort to touch. Besides, its texture is very smooth and durable to surely last for years. 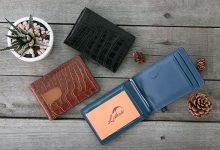 There’s just one thing you should keep in mind is that as this is a genuine leather handcrafted wallet, let it stay away from moisture, water and sweat for an ultimate maintenance. Besides, another good thing that I love is its beautiful packaging that you can make use of as a pretty present box and gift it to someone you love. Last but not least, 100% money back guarantee covering any mistakes from manufacturing progress. 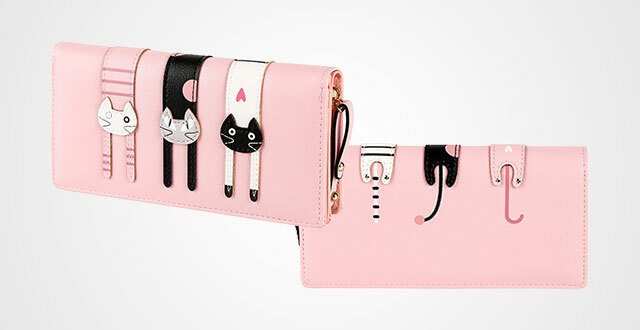 I will give these best pink wallets 10/10 points for its superb cute outlook. It’s lovely, simple and elegant enough to fit any girls, teenage girls and even women who are crazy of baby pink color. Its surface is nicely embossed in weaved style, very comfortable and interesting when touching. Besides, its texture is quite soft and smooth that delivers a lovely yet expensive look to the users. Figured as a trifold wallet, its capacity is no joke. Keep ease in mind that your belongings will be kept securely and neatly in 9 card slots, 2 slips, 1 flip-up ID window and 2 full-length bill compartments, yet everything still be managed in a strikingly slim silhouette to ensure not to make your handbag become bulkier. 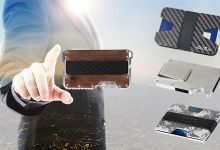 Another good feature which is also my favorite is its RFID Blocking Technology that is built in every single card slots, not only in its outer performance at all. Contrast to its lovely outlook, the packaging of this trifold from Access Denied is very cool and luxurious that’s deserved to be an ideal present box. Let’s try! If you have already followed my blog for a while, you will understand how obsessed I am with Vera’s products. This is a wow brand specialized in women’s accessories with unique one of a kind floral patterns. 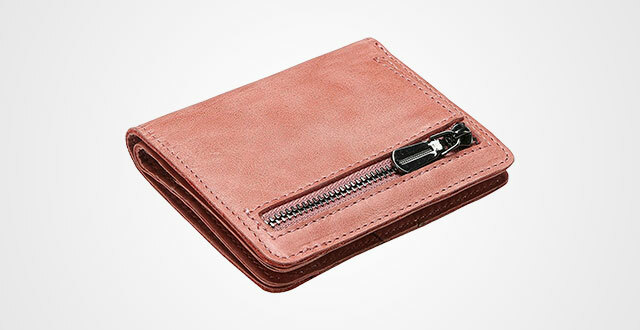 For those who want to own a stylized wallet to stand out from the crowd and receive countless of compliments, Vera won’t make you satisfied, like this pink trifold wallet for example. Other than its outstanding outlook, what makes this item stand out from most of other women’s wallets is its 100 percent cotton material. That means you will get easier maintenance when it comes to this Vera. Just throw it into your washing machine and it looks like new again without ruining the form. 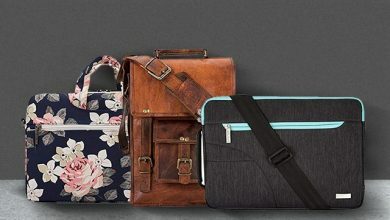 Besides, it’s very convenient and versatile with spacious interior (including 11 card slots, 3 slips and 1 zippered pocket) and beautiful patterns to fit nicely with any occasions, from casual to formal. 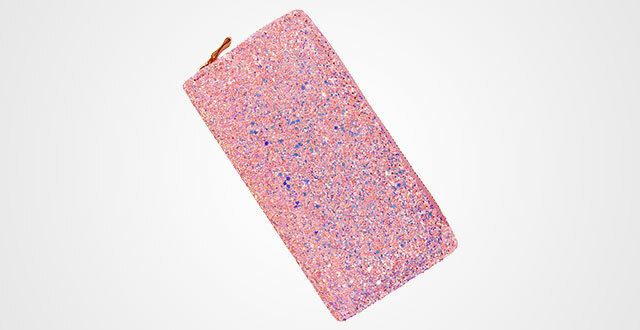 Did I tell you how much I love this glitter wallet from Laimi Duo? This is also a brand-new products of Laimi Duo with Unique bling glitter elements printed feat premium quality PU leather. It’s soft, durable and comfortable to touch. But if taking a look more in depth at its interior, you will be more surprised by its lively construction. Inside a 7.7 x 4.1 x 1.2-inch wallet, there are 8 card slots, 3 large compartments and 1 zippered pocket. The real fun is that apart from coins, cards, cash or keys, you can accommodate up to 5.5-inch smart phone and other make-ups. That’s said, if you want to have a little shinier look yet still simple and elegant, look no further than this. 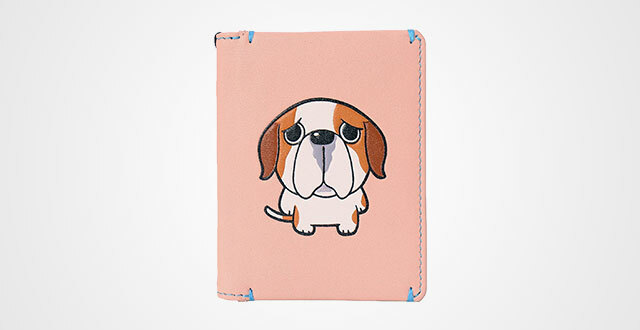 Now that we have just gone through my collection of the best pink wallets and purses for women, have you heart been melted yet? 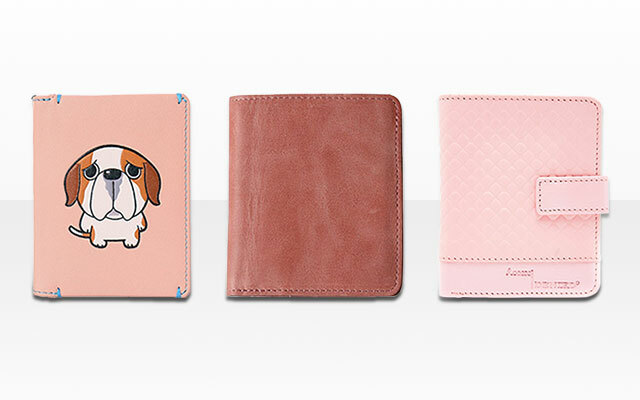 I know that out there on the market, there are thousands of other pink wallets which I might have missed so, if you have any better options that these, kindly share with us to fulfill our pink collection. 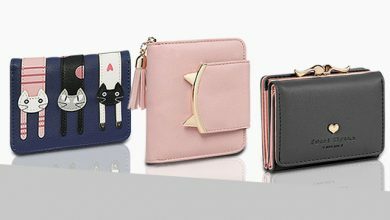 Hopefully, this collection has inspired you to pick up the best pinky wallets to add to your wardrobe.